One of the biggest signs of ageing in our faces is loss of volume, especially around the cheek and jowl areas. This loss of volume can lead to sagging of the skin, accelerating the development of the nasolabial lines (the lines from the nose to the corner of the mouth), and the marionette lines (the lines from the corners of the mouth towards the chin). For many, surgical facelifts were once the preferred treatment to counter this effect, but such has been the advancement of dermal filler products and associated techniques that non-surgical procedures are now seen as viable alternatives. The eight-point lift (pictured below), also known as the liquid facelift, is a technique using dermal fillers developed by Brazilian plastic surgeon Mauricio de Maio who is the innovator of injection strategy around the world. I was trained in the technique myself at a Masterclass led by Mauricio in 2013. I am lucky enough to be amongst an elite group of practitioners who have been invited back to learn directly from Mauricio every year since then, most recently in London for 2 days in February 2019. The MD Codes (below) are the more advanced development of the 8-point lift. The technique of using these codes involves careful planning, after listening to a patient’s concerns and analysing the face, both at rest and on expression. This is followed by the injection of dermal fillers (from Allergan’s Juvederm Vycross range of products) at specific sites, as shown in the images below. 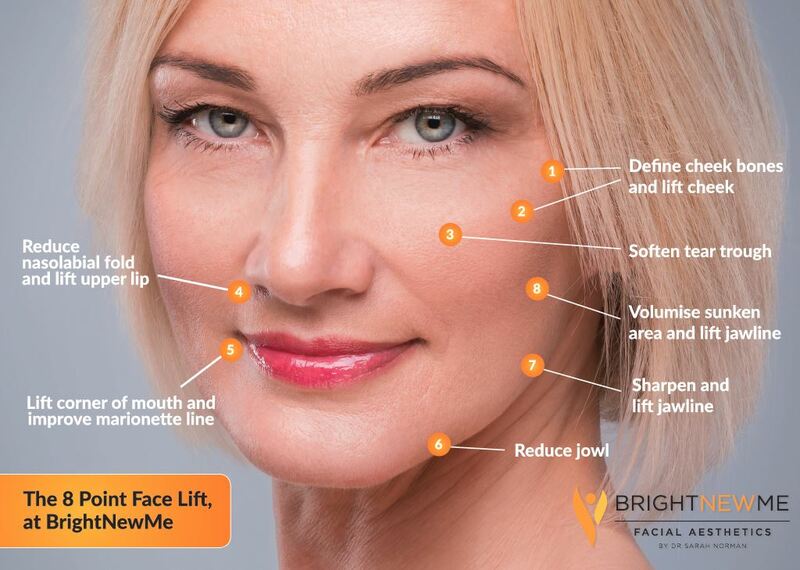 In essence the 8-point lift is an over-simplification of the full face MD Codes. This is very much a bespoke treatment, such that both the precise sites (as well as the number of sites treated) will vary with each patient, depending on bone structure and age-related changes. Many patients tell me they want to look less tired, for example, or perhaps less saggy, less angry, less sad, or just a bit lifted. The MD Codes will address your particular concerns. It results in a re-defined, a refreshed look. Dermal fillers should no longer lead to a tell-tale pillow face look. With the MD codes there is lifting in the right areas, replacing lost volume, rather than over-inflating and filling out lines. Furthermore, in the unlikely event that a patient did not like the result, the fillers can be dissolved with an injection and the effects reverted- something which cannot be said for surgical procedures, nor for some other types of dermal fillers. The cost of this procedure depends on number of syringes used. To treat all original 8 points of the lift (or more than one area of the face) typically requires 2 different types of 1ml syringes and costs £650. Further volumisation one month later may be required, depending on your goals and outcomes, which is again chargeable at the same rate as above. If you would like more information on dermal fillers please see our frequently asked questions. If you would like to discuss facial volumisation in more detail, please complete the form below to arrange your free initial consultation. Although we have a dedicated page for general client testimonials, below you will see comments from patients specific to the eight point lift. Click on the extract to see the comments in full. More than happy to share my experience after the recent procedure. Not only was the process itself almost painless, the bruising was non existent 🙂 A little tender on the cheekbones for a day or two and just swelling round the mouth edges in the evening of the procedure….gone by the next day. Very slight overall puffiness for the day after which settled by day 2 and full results evident by day three. Delighted! Very, very subtle….yes. But daughter asked if I’d had ‘liposuction’, lol!! So, if she noticed there was something different without knowing what, it meets objectives. Cheekbone area fantastic….would still like less depth in the lines from side of nose downward, (but these have definitely lifted with the filler), but really, extremely pleased. The 8 Point Facelift is a fantastic treatment, especially in Dr Norman’s hands. It’s subtle and undetectable yet makes everything about my face look firmer, fresher and healthier. I’d always vowed to stay away from fillers and injectables as I dislike that frozen, pillow face look. Now I realise it’s all about who administers the treatments and their level of skill and artistry in creating an entirely natural look. Dr Sarah is brilliant, a medical doctor and supremely cautious which makes me feel very safe and confident. She knows how to adapt the treatment to my face so I look the same but better, more relaxed and, yes, younger. Not even my husband knows I’ve had it done. People just tell me how well I look. I used to be depressed about my ageing face. Now I have a new confidence and feel like I have some control over the way I age. I’m extremely glad I found Dr Norman and her wonderful team. This is my second visit to the practice for the 8 Point Face Lift and botox and I am very pleased to have come to Bright New Me ! 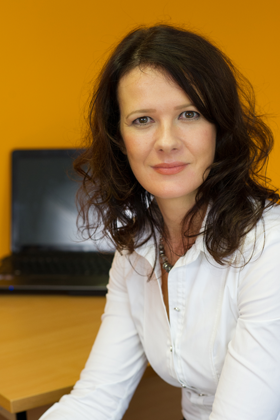 Dr Norman’s approach is very professional, informative and intelligent and her approach is to make you look natural and enhanced rather than fixed and overdone and as a woman approaching her mid 50s that is what I want. I am also reassured that Sarah is a qualified doctor and understands the face and the filler procedure very well. Dr Sarah Norman is amazing. I had 8 point face lift and some botox at 8am today. I didn’t sleep the night before I was having so may worries about the needles, I nearly cancelled. Thank goodness I didn’t, the dreaded pain was just very minor pin pricks and the results just 12hrs later are fantastic. Sarah is so calming, professional and brilliant at what she does I can’t wait for my thread veins to be treated in a few weeks.